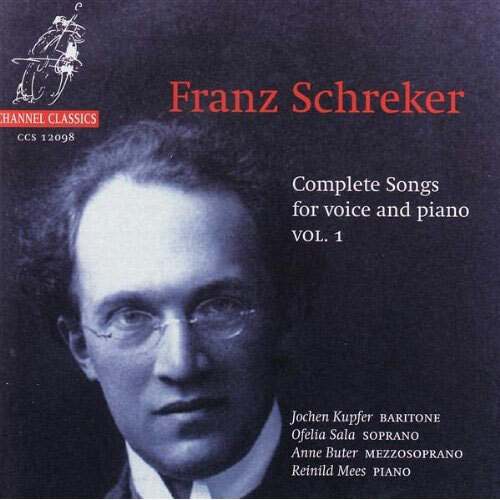 Franz Schreker (1878-1934) was the most frequently performed opera composer of his generation. His controversial works dominated the central European repertory in the years after the First World War and exercised a major influence on such younger contemporaries as Alban Berg, Kurt Weill and Ernst Krenek. An artist poised between the intoxicating late Romanticism of fin-de-siècle Vienna and the sober ‘New Objectivity’ of Weimar Berlin, between a precipitous rise to fame and an equally sudden fall from favor in which aesthetic fashion and political intrigue played their parts, he was forced into retirement by Hitler’s racial decrees. In 1934, the composer, his music banned, died a broken man. Thereafter Schreker became a forgotten chapter in the history of new music. Schreker’s music is only now beginning to enjoy a revival. 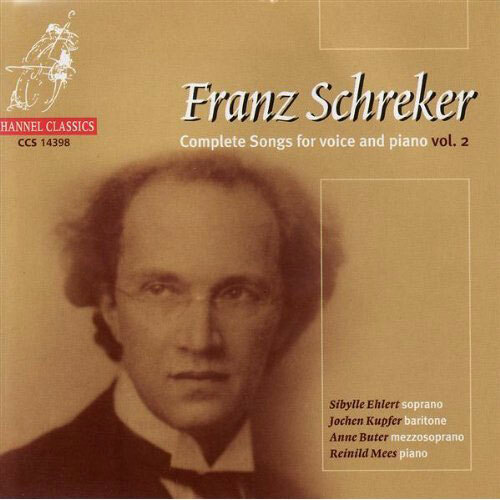 Although by their number Lieder do not loom large in his creative output (that place is given to his operas, and secondarily to his orchestral works) Schreker’s songs nonetheless document each stage of his stylistic development and contain some of his finest music. In his early songs – written before the composer had reached the age of 22 - one already finds that characteristic mixture of naiveté, romantic idealism and tragic irony that permeates the librettos he wrote for his operas. This ideal certainly applies to the relationship between text and music in Schreker’s Fünf Gesänge für tiefe Stimme (1909) on poems from Arabian Nights and by the Viennese poet Edith Ronsperger.The five poems form a cycle that moves from longing for a loved one, to alienation, despair, nostalgic reminiscence and finally to death and release. Schreker wrote these songs at the same time that he was introduced to the Schoenberg circle. Arnold Schoenberg invited Schreker to play them for his students (Alban Berg, amongst others, was present) and arranged to include this cycle on a concert of new Austrian music in 1912. In 1922 Hans Reisiger published a two-volume collection of works by Walt Whitman, including a superbly sensitive translation of Leaves of Grass. Schreker set two of its texts as Zwei Lyrische Gesänge in 1923, the orchestration followed a few years later under the title Vom ewigen Leben. Schreker’s Whitman settings are among the masterpieces of the twentieth-century song literature. In the breadth and scope of these songs Schreker significantly transforms the inherited terrain of the German Lied and in the transformation does fitting homage to that wealth of that inheritance.